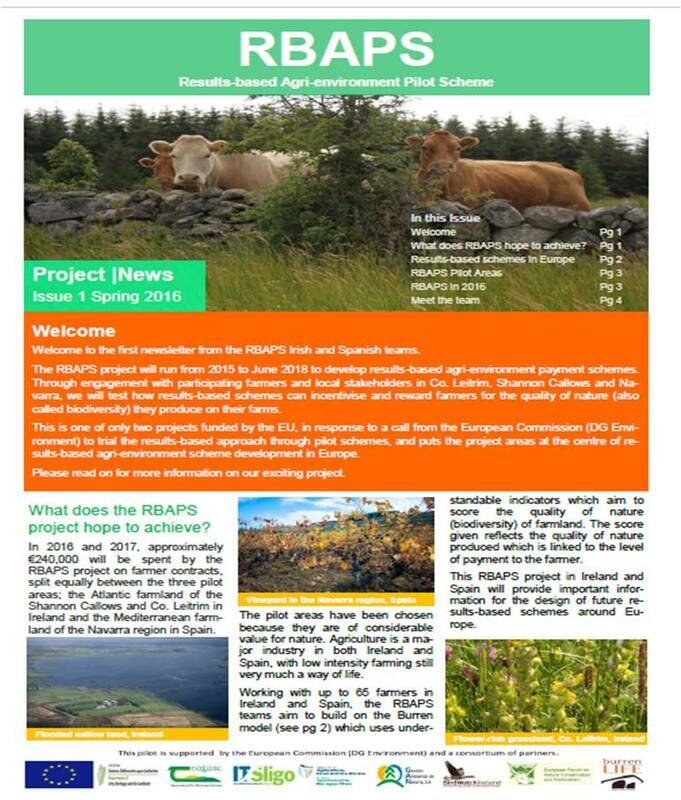 The non-technical summary provides an overview of the RBAPS project. 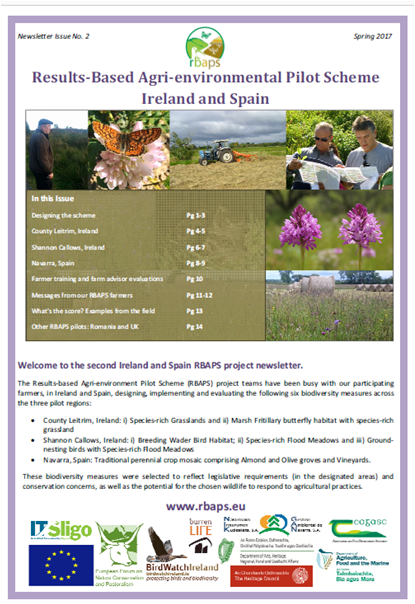 It summarises the project aims, pilot regions, development of scoring for the biodiversity targets of lowland species-rich grasslands (floodplain meadows and pasture/meadows), marsh fritillary butterfly, ground-nesting birds and breeding waders in Ireland and perennial crops in the Mediterranean region of Navarra, Spain. 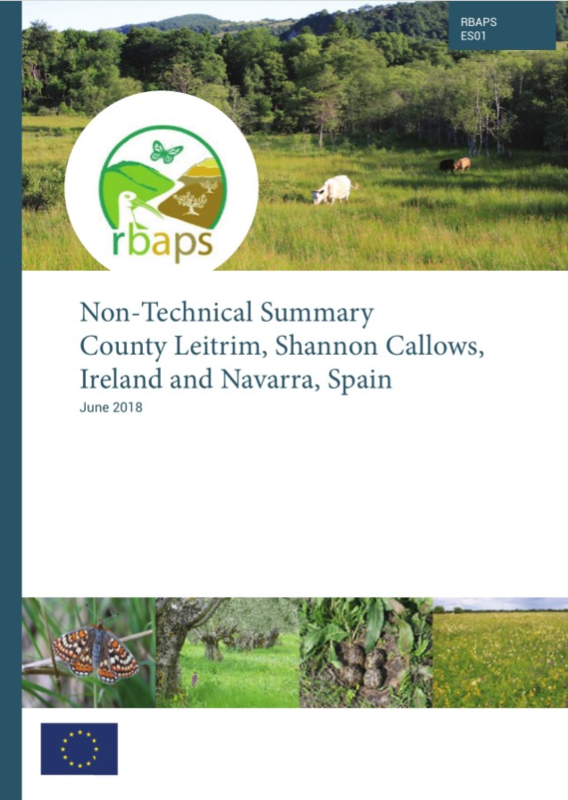 The end of project synthesis report provides greater detail on the RBAPS project aims and deliverables.